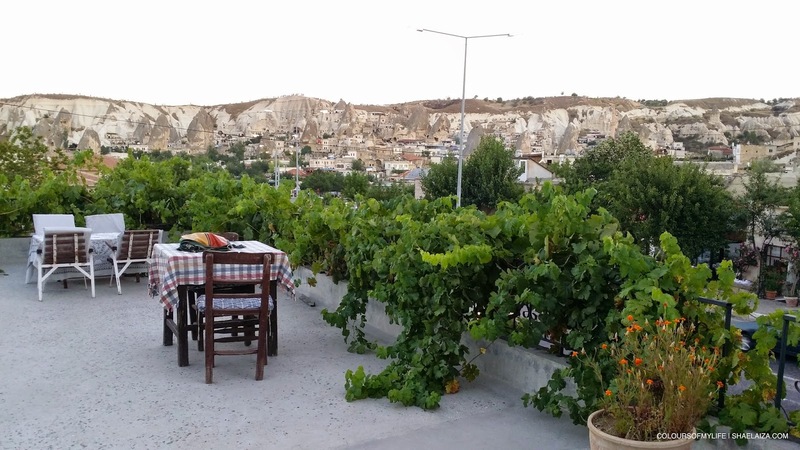 View of Göreme town centre from Cave Hotel Saksagan. A whirlwind of events have taken place in the past few months but I'm happy to say things are finally settling down and this blog post is being written by yours truly from the bustling capital city of New Zealand - Wellington. YES, what a dream come true, alhamdulillah! And now I'm finally in the right state of mind to write again and continue my blog series on my trip to Turkey last August. I love Turkey and I'm completely smitten with it. It's a land I feel very connected to so I'm always happy to talk or write about it. By the way, don't forget to read Part 1 and Part 2 of the 'Unforgettable Turkey' series if you haven't already. We adjourned to the region of Cappadocia or Kapadokya ("the land of beautiful horses") in Central Anatolia after spending 3 days in Istanbul. It was a must-see for us as in Cappadocia lies a UNESCO World Heritage site, Goreme National Park and the Rock Sites of Cappadocia. 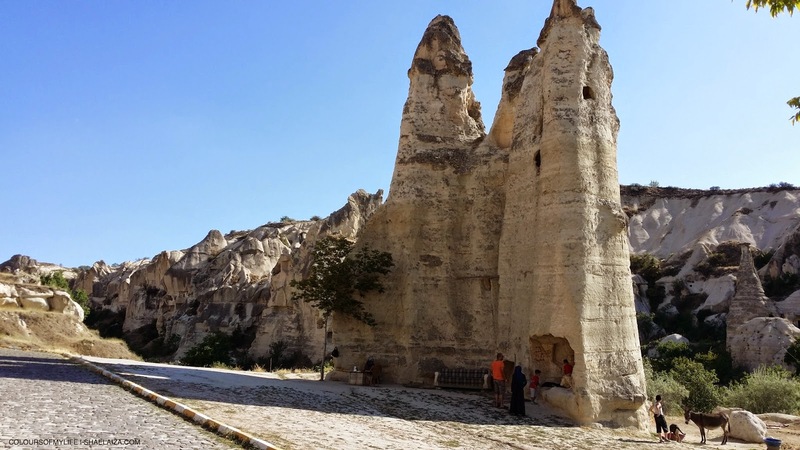 This region is famous for its fairy chimneys, hot air balloon rides, cave homes and cave churches. We flew with Turkish Airlines and the flight lasted around 2 hours. 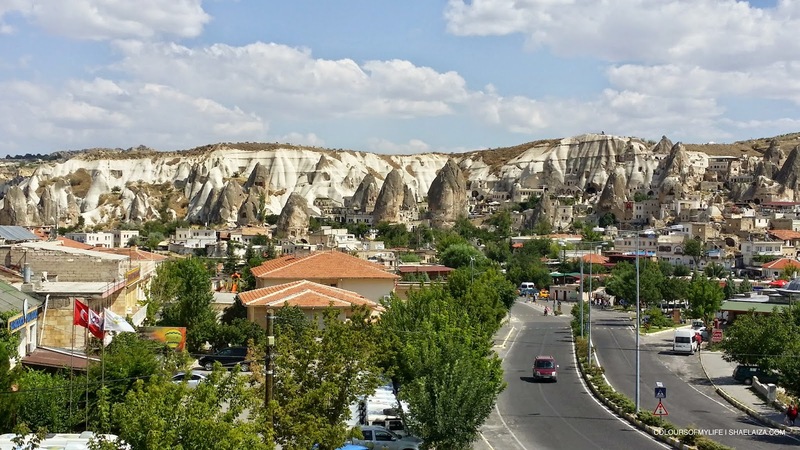 We landed in the province of Kayseri where a shuttle bus arranged by our hotel (at the price of USD $10 per person, if I recall correctly) picked us up from the airport to take us to Cappadocia which is about an hour's drive from Kayseri. The aerial view while flying over Central Anatolia. 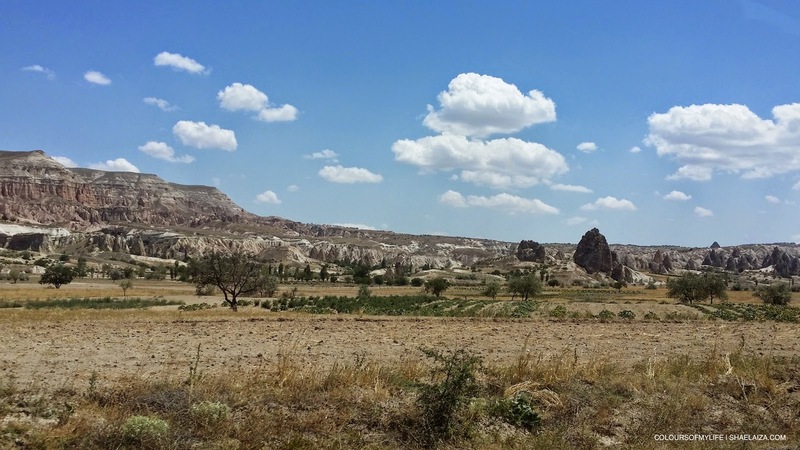 Cappadocia's fascinating natural landscape from afar. I researched Cappadocia prior to the trip but nothing could have prepared me for how enchanting this region was. If you enjoy being surrounded by nature and learning about geography, theology and ancient civilisations, Cappadocia is the place for you. The words I keep using to describe Cappadocia is 'magical' and 'soulful'. The natural and architectural landscape were outstanding; it was as if I was transported back into time. Bear in mind, it was summertime when I was there so the weather was perfect for walks, hikes and explorations, although those who are not accustomed to the Mediterranean or East-European summer would have found it too warm for their liking. 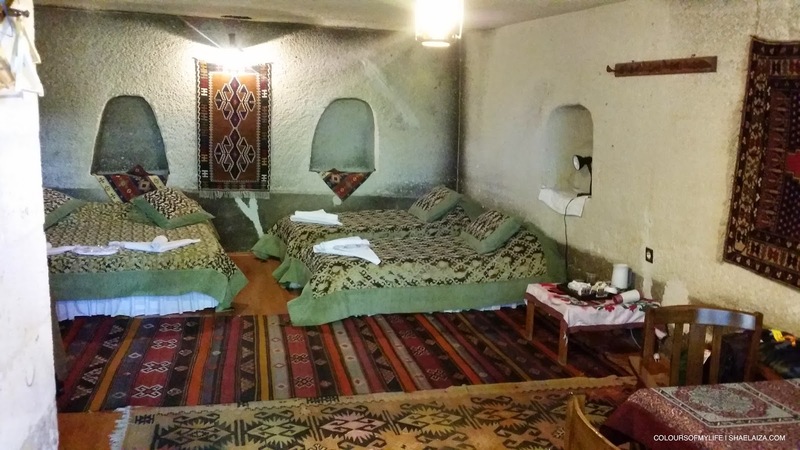 As soon as we arrived we checked into our hotel, Cave Hotel Saksagan, situated in the centre of Göreme. Cappadocia is made up of various provinces and towns such as Göreme, Ürgüp and Uçhisar, just to name a few. 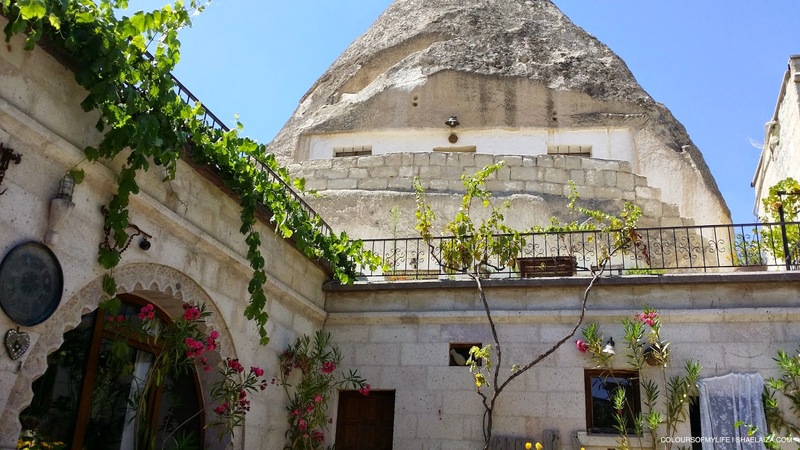 You may read about these towns and which one may be better suited to your needs and preferences over at Here’s a Quick Guide to 10+ Towns in Cappadocia, Turkey. Behind the reception counter stood a laid-back and docile young man whom we thought was the hotel staff at first. It turned out that he was the hotel manager. I read about Numan in the hotel's reviews on Booking.com and for some reason I was expecting someone older. Later on, I found out that he was also an English teacher. I wasn't expecting that either but it made sense when I noticed stacks of English novels behind the reception desk. The entrance of our hotel room on the ground floor was decorated with a carpets and cushions - just perfect. Our hotel room was made of limestone which is said to be good for ventilation as it keeps guests cool during summer and warm during winter. The al fresco dining and chill out area on the first floor of Cave Hotel Saksagan. 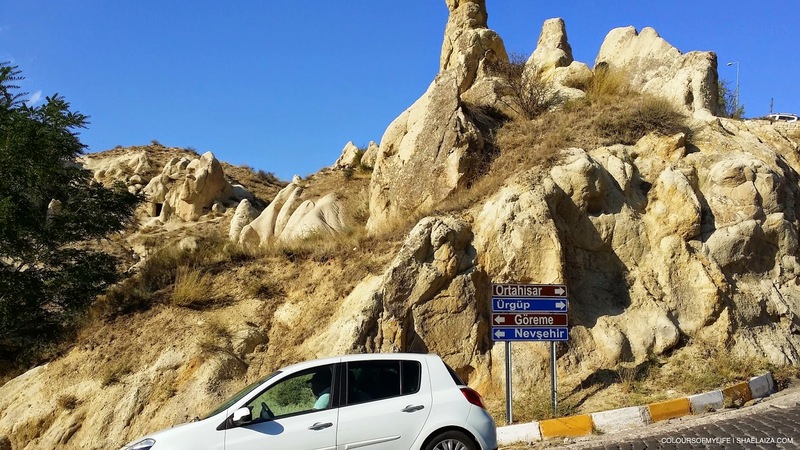 I was in charge of my planning our holiday in Turkey so I specifically wanted to stay in one of their famous cave-like hotels because I wanted my family and I to experience something new and different. I chose Cave Hotel Saksagan in the end because the rooms were reasonably priced and the hotel was in a strategic location - 2 minutes walking distance from the town centre where most of the shops, tour companies, restaurants and ATM machines are. ATM machines are very important in Cappadocia and the hot air balloon rides are a must for tourists. Why am I telling you this? What's the connection? Most hot air balloon companies only want to be paid in cash. And here's where the drama began. We took out cash for the hot air balloon rides we were scheduled to go on the next day but at the first try at the ATM machine said the card was declined. We tried again. Same response. In the end, we didn't have enough cash for the hot air balloon rides so we missed out. (*More details on the drama at the end of this post.) 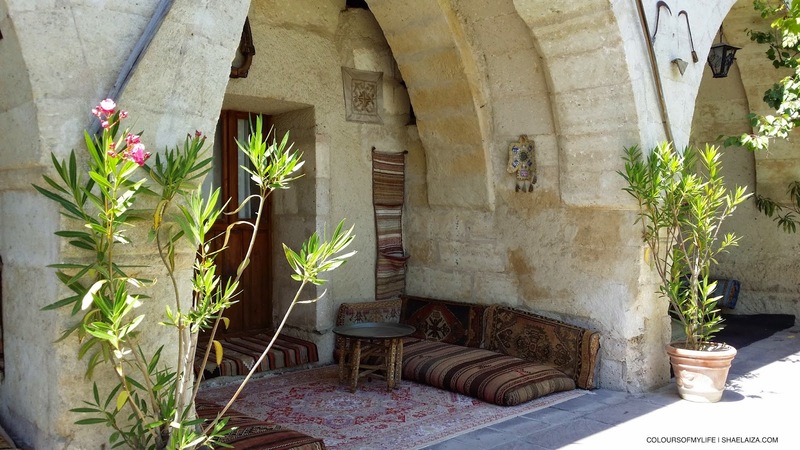 But that didn't stop us from making the most of our stay in Cappadocia. There is a lot to do there if you're adventurous. 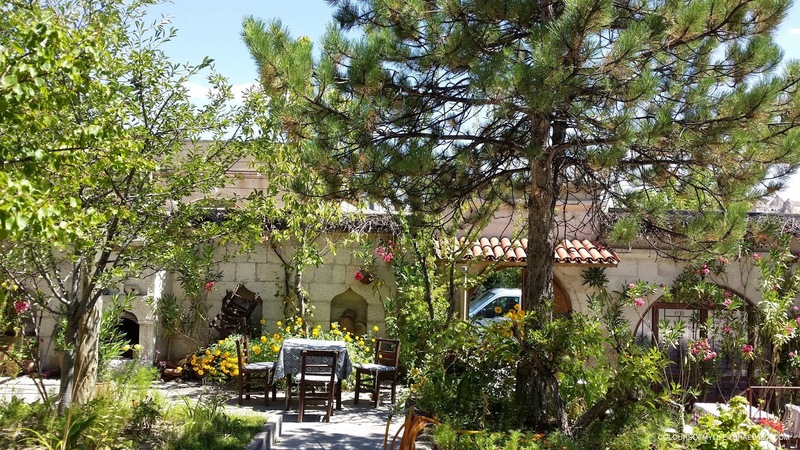 There's the Göreme Open Air Museum which resembles a vast monastic complex comprising of centuries' old monasteries, churches and chapels and it is one of UNESCO's World Heritage Sites. 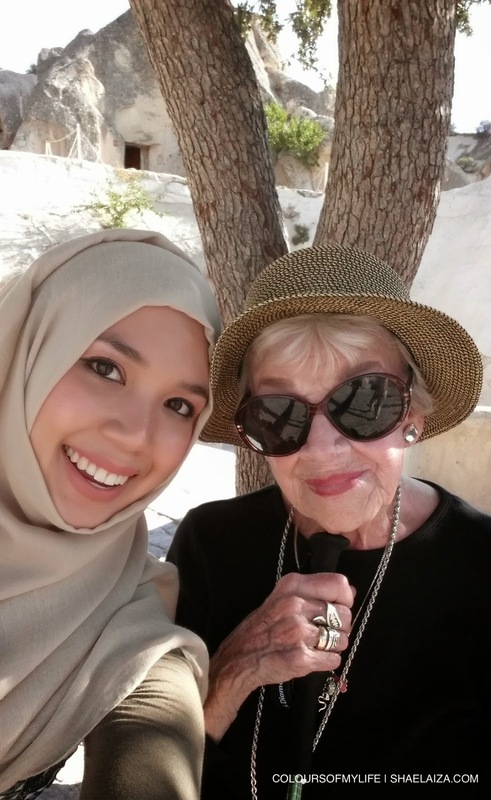 So you might be wondering, why would a Muslim be interested in visiting the Göreme Open Air Museum? Firstly, it's an archaeological site. That in itself makes it an interesting place. Secondly, learning about Christianity and how it was established and practiced centuries ago is relevant and beneficial knowledge to Muslims. After all, we believe in Jesus or Prophet Isa (peace be upon him) too. Did you know that the practice of making tawaf (circumambulation) was done by Christians in Cappaodocia as a means of atoning from their sins? All this while I thought it was specific to Islam. Until I went to Cappadocia, that is. More on that in the next post. 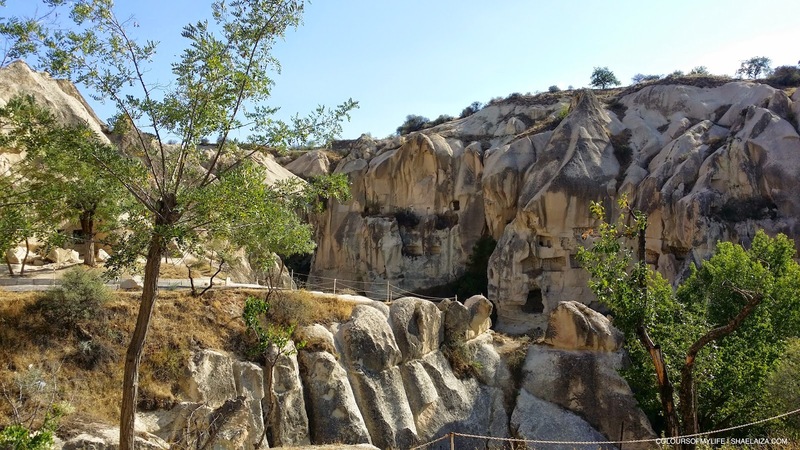 Göreme Open Air Museum: put on some walking shoes, bring a bottle of water and enjoy exploring this centuries' worth of history. The entrance of Karanlık Kilise ('Dark Chuch') right at the top of the hill. I met Virginia, a stylish and determined 94-year-old lady from California, who climbed all the way up the hill by foot. I was very impressed. Because I'm not a history expert here is some information about the rise of Christianity in Cappadocia from UNESCO's website: "It is believed that the first signs of monastic activity in Cappadocia date back to the 4th century at which time small anchorite communities, acting on the teachings of Basileios the Great, Bishop of Kayseri, began inhabiting cells hewn in the rock. In later periods, in order to resist Arab invasions, they began banding together into troglodyte villages or subterranean towns such as Kaymakli or Derinkuyu which served as places of refuge. Cappadocian monasticism was already well established in the iconoclastic period (725-842) as illustrated by the decoration of many sanctuaries which kept a strict minimum of symbols (most often sculpted or tempera painted crosses). However, after 842 many rupestral churches were dug in Cappadocia and richly decorated with brightly coloured figurative painting. 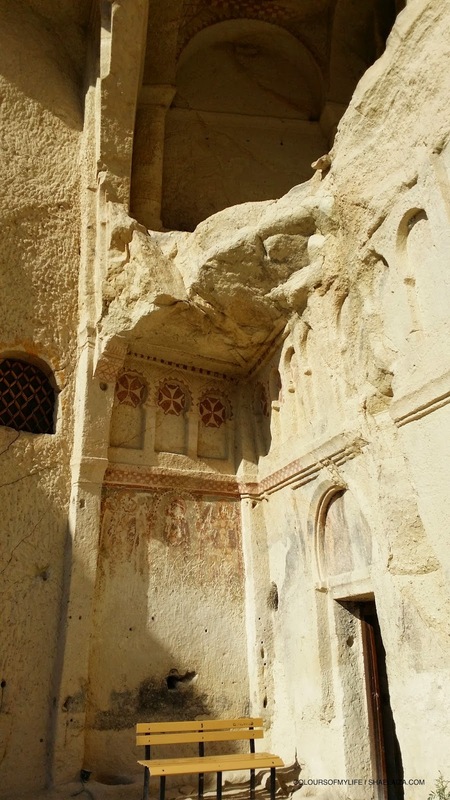 Those in the Göreme Valley include Tokalı Kilise and El Nazar Kilise (10th century), St. Barbara Kilise and Saklı Kilise (11th century) and Elmalı Kilise and Karanlık Kilise (end of the 12th – beginning of the 13th century)." The locals were offering camel and donkey rides for tourists. They were cute and the kids loved them. 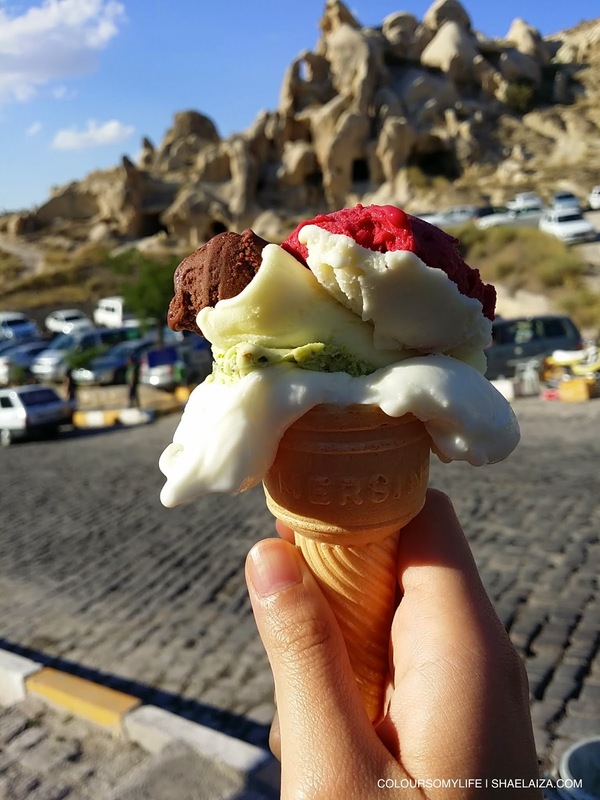 The best refreshment (after water, of course) on a hot summer's day in Cappadocia: dondurma (Turkish ice cream). 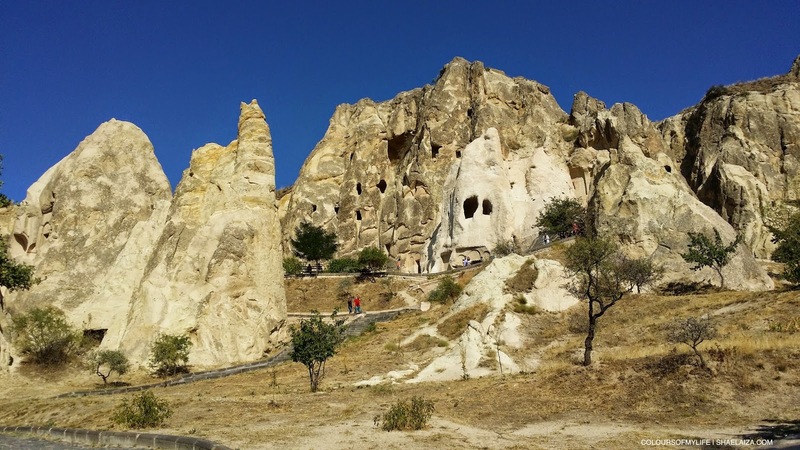 So that was day one of our stay in Cappadocia. We rested for a while and then at night time we attended a dervish ceremony at a caravanserai which was conveniently organised by our hotel manager, Numan. We weren't too worried about getting ripped off because he seemed like a gentleman. He was a decent and helpful guy, to say the least. 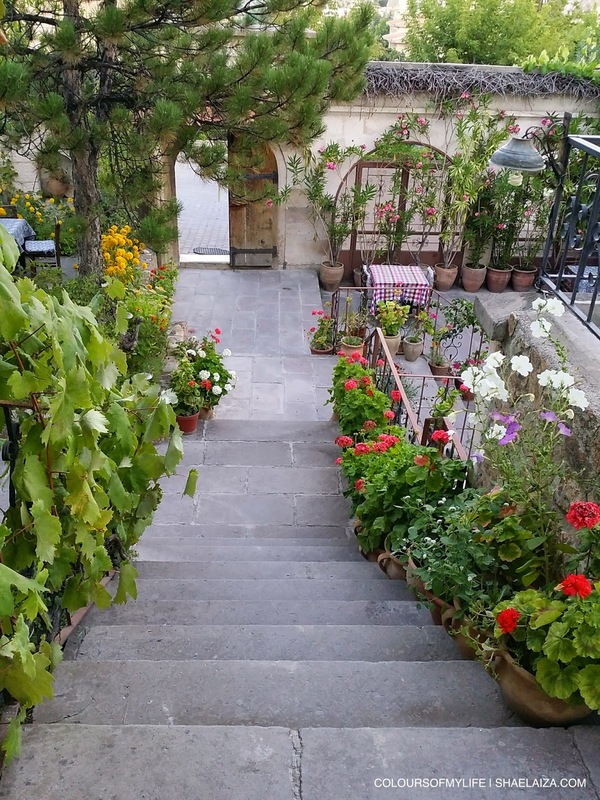 If you're ever planning a trip to Cappadocia, look for Numan. He runs Cave Hotel Saksagan, another hotel and a cafe too, if I'm not mistaken. 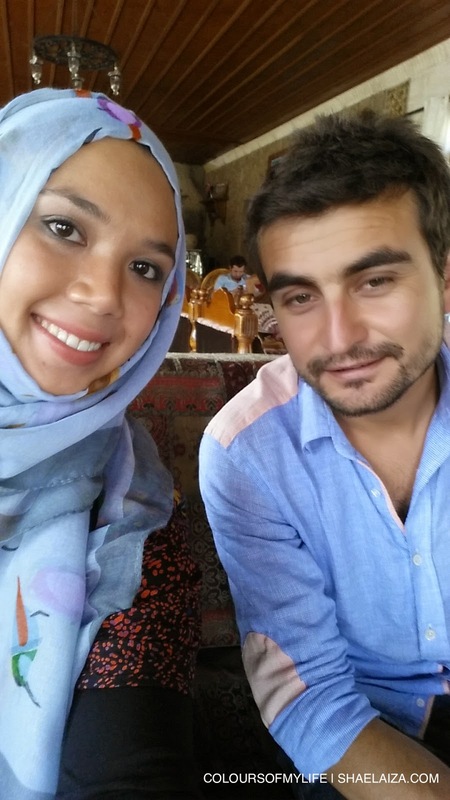 He speaks good English, which is a big bonus when you're travelling in Turkey, and he is very hospitable and brotherly. As always, this is the end of another looong post by me but I like writing long and elaborate posts and I won't deny it. 'Unforgettable Turkey (Part 4)' is already in the works so if you're looking forward to more pictures of the things we got up to in Cappadocia do check my blog in a day or two :) Güle güle! 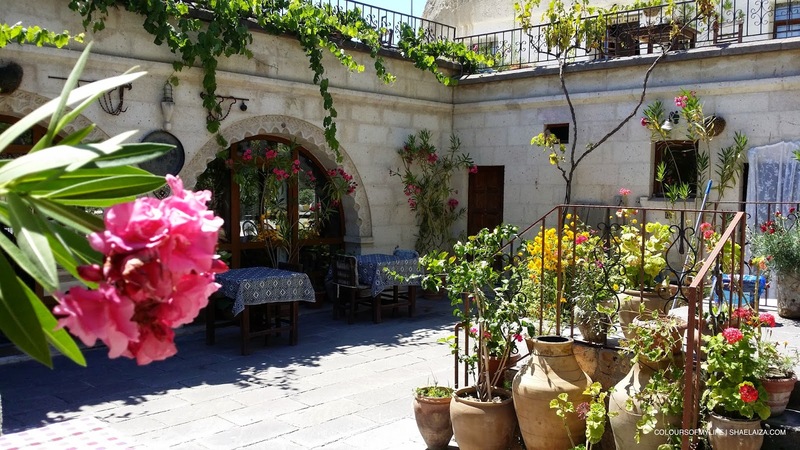 *ATM machine drama in Cappadocia: We called up Al Rajhi Bank in Malaysia to find out what happened and they said their system's records stated that we had received the cash and both transactions had been successful. We were shocked! That was almost RM 6000 worth of cash that was said to be in our possession. We said we didn't receive the cash and they said they will sort it out for us but we had to fill in a complaint form before an investigation into the matter could be done and the money would be returned into the account. We told them we were overseas and that we needed the resolve the matter as soon as possible. The Al Rajhi customer service representative said to call back the next day. Sadly, we were told the same thing for the next 4 days. It was terrible. No one suggested any other solutions except "Call us back tomorrow". That ordeal almost ruined out trip but alhamdulillah, we had a back up bank account (CIMB) which we were only able to access the last day before we returned to Malaysia. This meant most of our purchases could only be done via credit card which was a bummer because we missed out on delicious Turkish street food as we had to save whatever cash we had for tram and taxi rides and emergencies. BTW, superb photos (part 1 to 4). Turkey is really a breathtaking beauty.